Pianist Amanda Tosoff grew up in White Rock B.C where she began studying music at an early age. Coming from a very musical family, Amanda always knew that she wanted to be a musician. She attended the prestigious music program at Semiahmoo Secondary school from 1996-2001, where she had the opportunity to play and perform in the jazz and concert ensembles under the direction of award winning educator Dave Proznick. Amanda also studied with renowned jazz educators, including Vancouver’s treasure Lloyd Abrams. 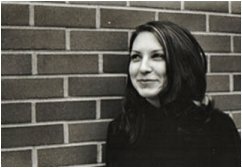 After highschool, Amanda continued on to study at Capilano College in North Vancouver BC, where she received a degree in Music – Jazz performance in 2005. At the college, Amanda honed her piano skills under the tutelage of Juno award winning pianist Ross Taggart, Chris Sigarson and Lorne Kellett. She also had the opportunity to study with some of Canada’s most prominent jazz educators and performers, including Mike Allen, Ihor Kukurudza, Rejean Marois, Al Wold and many more. During her tenure at Cap, Amanda performed with the school’s top ensembles “Nitecap” Vocal Jazz, and Cap College “ABand”, with visiting luminaries Seamus Blake, Cedar Walton, Nneena Freelon, Ed Thigpen, Jane Bunnett, Rob McConnell, Phil Nimmons, Regina Carter, and Kristin Korb.